Professor Charlene D. Luke is the Associate Dean for Tax Programs and editor-in-chief of the Florida Tax Review. She teaches about individual, corporate, and partnership taxation at the University of Florida’s Levin College of Law. Professor Luke joined the University of Florida in 2008 and teaches in both its J.D. and LL.M. programs. Her research primarily focuses on the problem of tax avoidance and evasion. 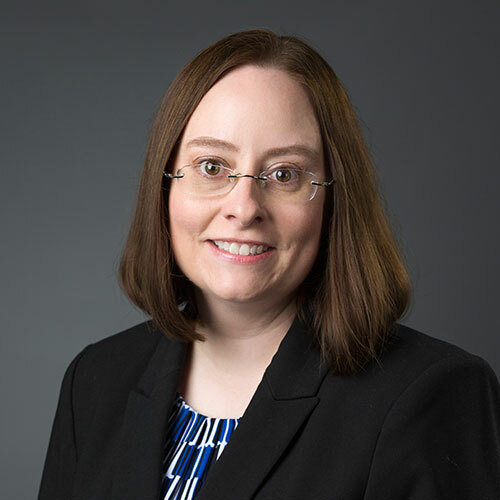 Her work on the economic substance doctrine is highly regarded and has been selected for inclusion by the Practicing Law Institute in its influential series on the taxation of corporations and partnerships. Professor Luke also writes about tax issues relating to various forms of insurance. Professor Luke’s published work has appeared in multiple publications, including the Virginia Tax Review, Tax Lawyer, Seattle University Law Review, Buffalo Law Review and Connecticut Insurance Law Journal. Professor Luke earned her B.A. and J.D. degree from Brigham Young University. She graduated first in her J.D. class and clerked for Judge J. Clifford Wallace of the U.S. Ninth Circuit. Following her judicial clerkship, Professor Luke was a tax associate at Dechert LLP in its Philadelphia office. She began her academic career at Florida State University. University of Florida: Joined College of Law in 2008 as Assistant Professor. Private Practice: Judicial Clerk, Judge J. Clifford Wallace, U.S. Court of Appeals, Ninth Circuit, San Diego (2000-01); Dechert, LLP, Philadelphia, Pa. (2001-03). The Role of Developed World Tax Incentives in Microfinance, TAX, LAW AND DEVELOPMENT 241 (Yariv Brauner & Miranda Stewart, eds., 2013) (book chapter).